On Long Island, a safe supply of clean drinking water and healthy creeks, bays and harbors support a multi-billion dollar economy fueled by tourism, boating, fishing, plentiful seafood, and a desirable way of life for 2.8 million Nassau and Suffolk residents. 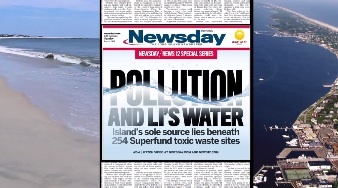 Scientists have determined that increasing pollution from sewage, pesticides and toxic chemicals threaten Long Island’s water. Aging sewer and septic systems leak nitrogen into our underground supply of fresh drinking water, which flows into our creeks, bays and harbors. This leads to “red tides” and other environmental problems that choke sea life, kill fish and poison shellfish that people eat. Fortunately, we can fix it. But action by local, county and state officials is needed right now if Long Island’s water quality is to be protected and restored for our children and grandchildren. Long Island needs new water quality standards to reduce the amount of sewage pollution in our local waters and improve, upgrade and modernize existing sewer and septic systems. We all have good reason to make sure our water supply is clean and healthy, and we each have a part to play in protecting it for the future. 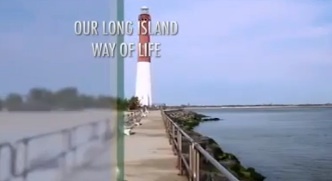 Join the Long Island Clean Water Partnership and do your part to save our water! (By registering you will be able to send letters directly to your elected officials to let them know how important Long Island’s water is to you). For more information please see ourLI Clean Water summary. Citizens Campaign for the Environment, Group for the East End, Long Island Pine Barrens Society, and The Nature Conservancy have been working together for over a year to form this Long Island wide campaign and the Long Island Clean Water Partnership.